Android is officially the most popular operating system among smartphone users. However just because it is popular does not mean that it is the best or secure. As much as the developers are working round the clock to enhance the user-end experience and security, Android users should be wary of cybercriminals. Here are some security trends for Android users in 2019. Most people assume that virus scanners do nothing but drain their phone’s power; considering that smartphone malware issues are quite rare. In recent years, Android users have been exposed to all manner of online breaches. So the need to stay safe from mobile malware and trackers is obvious. More and more people are expected to install antivirus scanners on their smartphones in 2019 and beyond. Public Wi-Fi hotspots have become increasingly popular in recent years. Unsecured Wi-Fi hotspots pose a real security threat. In the past, hackers only targeted computer users, but things have since changed, and smartphone users are now on the receiving end. With a good number of Android users wary of this threat, the use of VPNs is poised to be a big thing this year. Antivirus scanners have come in handy. Scanners work after detecting the threat. What if you could stop a threat on its tracks? Firewalls are primarily used to control the traffic that goes into your smartphone with a simple click of a button. 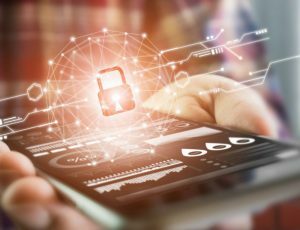 By bringing control into your hands, we expect to see a lot more Android users installing firewall apps on their smartphones in 2019. Some online swindlers dare to call you directly as they attempt to hack into our device or pretending to sell a product or service. Unfortunately, some people have fallen victim to these advances. Thus, to stay safe from suspicious calls, call blocking is the way to go.